UK new car market down -3.0% in November to 158,639 units, reflecting uncertainty, falling consumer confidence and supply constraints. Growth for petrol and alternatively fuelled vehicles fails to offset further fall in diesel demand. Year-to-date more than 2.2 million new cars registered, in line with expectations given challenging conditions. 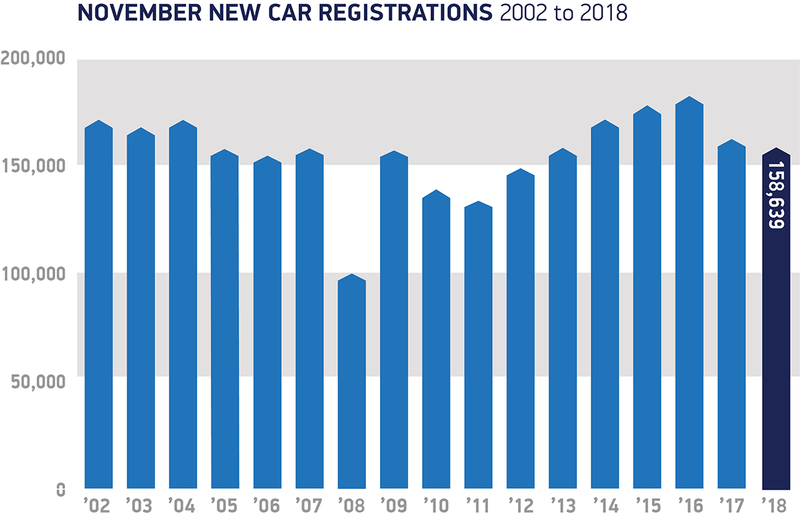 The UK new car market declined by a modest -3.0% in November with some 158,639 units registered, according to figures released today by the Society of Motor Manufacturers and Traders (SMMT). Stalling consumer confidence, supply delays due to implementation of the new WLTP emissions test and model replacement all combined to affect overall sales. 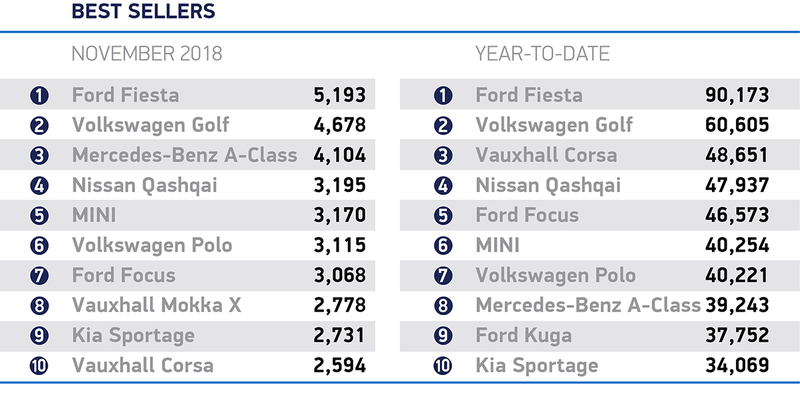 In the year to date, more than 2.2 million buyers have taken advantage of an increasingly diverse range of models, including ever-more zero and low emission vehicles as manufacturers continue investing in technologies to produce the cleanest vehicles ever made. The market was down -6.9% on the first 11 months of 2017, but is in line with industry expectations given current challenging conditions. Model and regulatory changes combined with falling consumer confidence conspired to affect supply and demand in November. The good news is that, as supply constraints ease, and new exciting models come on sale in the months ahead, buyers can look forward to a wide choice of cutting-edge petrol, diesel and electrified cars. It’s now critical that a Brexit deal is secured to boost consumer confidence and provide a stimulus to the new car market as we enter the New Year.